Henderson child dies from flu-related complications, according to sources. 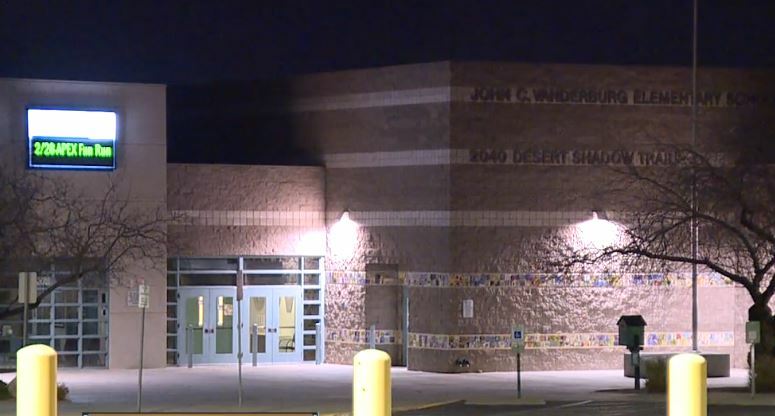 HENDERSON (KTNV) — A Henderson elementary school student has recently passed away from flu complications, according to a school source and family friends. The child was a student at John C. Vanderburg Elementary School near Paseo Verde and Green Valley Parkways. Principal Catherine Maggiore sent a letter to parents stating in part that the school regrets to inform parents and guardians about the recent passing of a student. Also, the school is working with students to ensure they will have the support and resources needed to get through this challenging time. "We found out the news today," said student Seth Dworkin, "everyone was kind of like crying." The 11-year-old student says he's known the victim since Kindergarten. "It was terrible, put a knot in my stomach," said Seth's father, Brad Dworkin. The specifics of the case have not been released at this time. 13 Action News is choosing not to release the name of the victim. If anyone from the school needed further assistance, they were urged to contact 702-799-0540. The Southern Nevada Health District's latest release had the total number of influenza deaths at 13 as of Feb. 2.